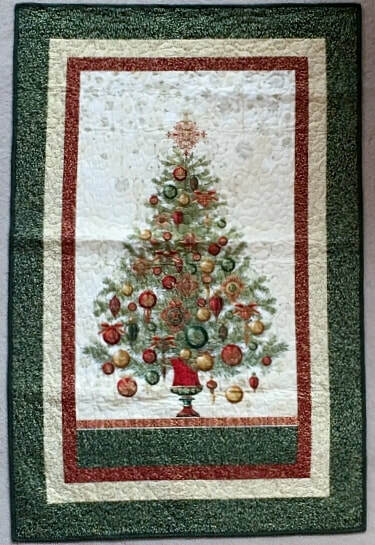 This beautiful Christmas Tree Wall hanging is made with a Red and Green Christmas Tree panel, red and white inner borders, and a green outer border. 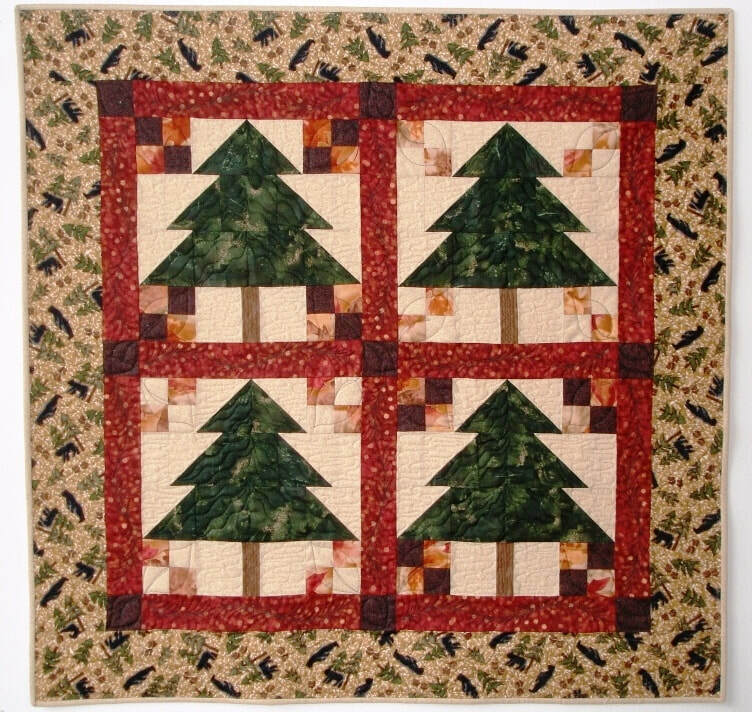 The back is a red snowflake fabric with a green check binding. 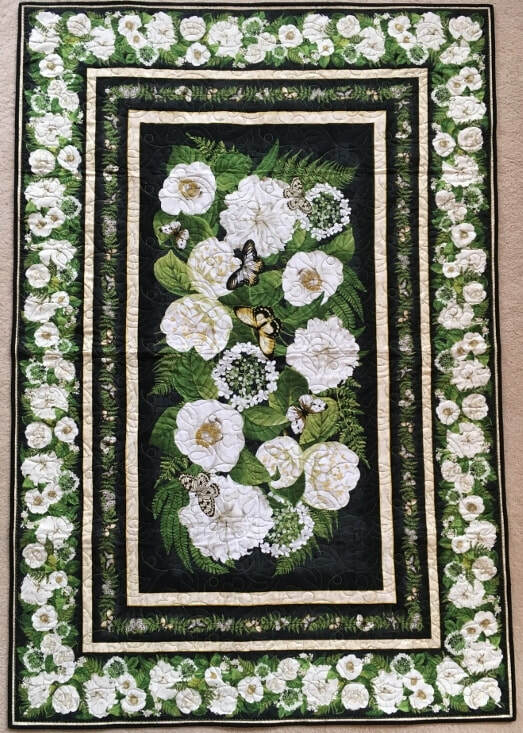 This wall hanging can be hung on any wall, the front door or used as a throw! This is a set of three wall hangings called "Words to live by", by Jennifer Pugh. 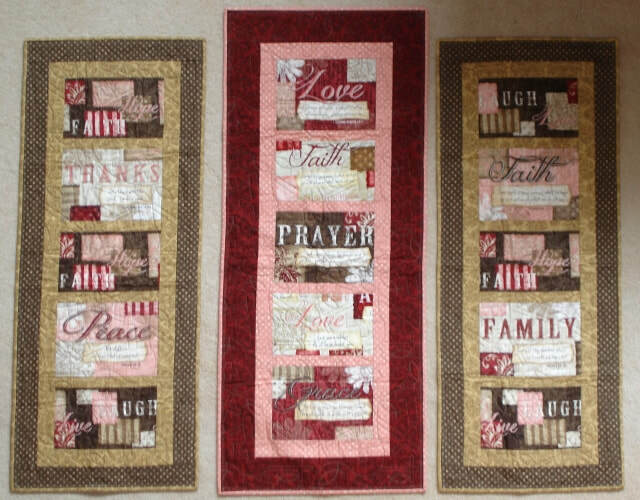 Each wall hanging has words to live by, such as Love, Faith, Peach, Laugh, etc. The center, measuring 17" x 43.25", has larger panel pieces, with pink and dark red borders. The outer two, each measuring 15" x 40", have light and dark khaki/brown borders and hang slightly shorter than the center. The bindings match the inner borders, and the back is a muslin.